We’ve often gotten requests from our customers that mosques should have the ability to stop ads on their users phones. 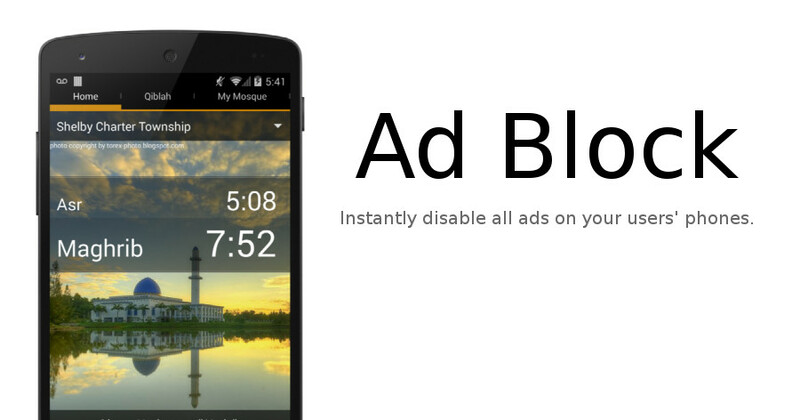 Now, with our new Ad Block feature, you can instantly disable the ads for your mosque just by upgrading to our new “Large Mosque” Plan. Any user that has saved your mosque to the MasjidNow app on their iPhone or Android device will no longer be shown ads *anywhere* when using the app. Mosques often need a better way to engage their worshippers than just a simple website. 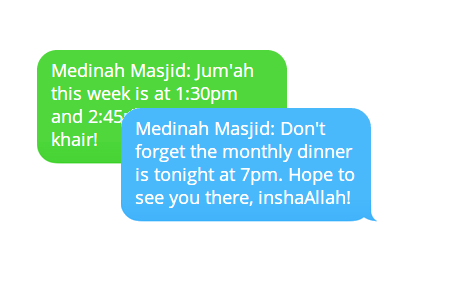 Our new Push Messaging feature allows mosques to have direct communication with their users. Simply enter a message from our website and have it instantly pop up on your users’ mobile devices. You can advertise for upcoming events, notify them of mosque news, and keep them up to date with whats happening in the local community. No matter how simple and intuitive we make our timings creator tool, we know that some people are too busy to spend their time entering in timings into our website. That’s why we now offer a free upload service to our “Large Mosque” plan subscribers. “Large Mosque” subscribers can now upload timings sheets for MasjidNow to enter and save for them. These new features are all available on our new “Large Mosque” Plan, which you can read about here. Let us know what you think about our new features in the comments below!